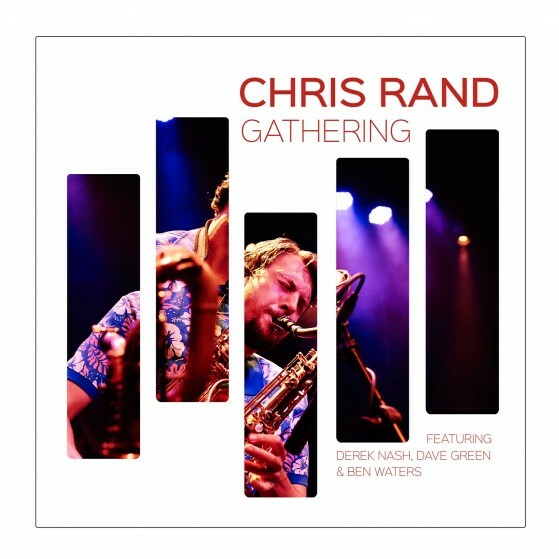 Gathering is the debut album for London based saxophonist Chris Rand. An eclectic collection of Jazz, Blues and a tinge of Rock & Roll Gathering is infused with lyrical riffs, motifs and above all groove. On this release, Chris utilizes every aspect of his instrument to deliver a truly swinging program. Along with his quartet, Chris invited long time friends and colleagues Derek Nash, Dave Green and Ben Waters to participate in this labor of love. The tightness of the ensemble and strong groove make this album one not to be missed.